The SR8 Steel Rollator is lightweight folding rollator that features height adjustable anatomic hand grips with loop brakes. It features 8 " wheels and a tray and basket. 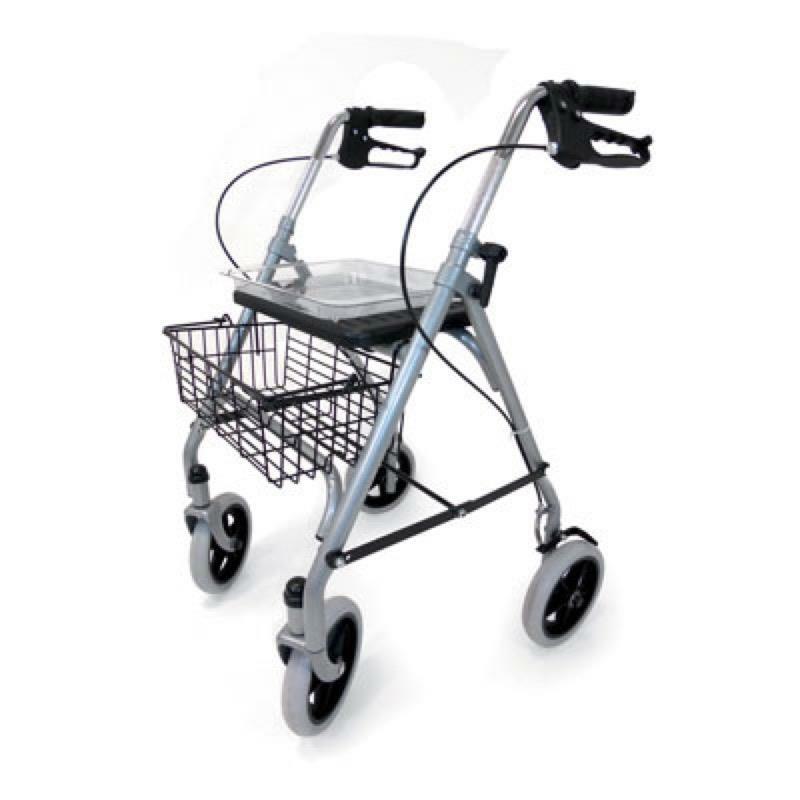 The lightweight SR8 Steel Rollator folds for ease of storage and transportation and features height adjustable anatomic grips with loop brakes making it ideal for those suffering with arthritis. It also features 8 inch wheels which make it suitable to be used indoors and outdoors. It comes as standard with a cane holder, tray and basket aswell as rear reflectors.